I love DressageMarket.com! The website is very easy to use. Both to list horses and search for horses. I have had remarkably good results selling horses on DressageMarket.com. 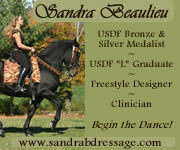 DressageMarket.com is also very economical! Thank you for creating such a wonderful website!